Easter is the cornerstone of the Christian faith — it's right up there with Christmas, y'all — but it's also become somewhat synonymous with over-sized candy-wielding bunnies, sugar-coated marshmallow monstrosities, and ugly egg-decorating contests. Sure, these things are fun, and an excellent way to ring in a new season, but as you engage in a hyper-competitive search to find plastic eggs hidden behind couch cushions, it can be easy to forget why we celebrate Easter in the first place. So, before you unwrap that Cadbury Creme Egg and allow yourself to surrender to the inevitable sugar rush that comes next, take a moment to debrief yourself on Easter's history — because even though you may think you know its origin story, there are some facts that might actually surprise you. Specifically, it's believed to be a derivative of Ēostre, the name of the ancient German goddess associated with spring, rebirth, and fertility. According to the Venerable Bede, an English monk, there was an entire lunar month, "Eosturmonath," filled with feasting in honor of the goddess that happened each spring. Well, allegedly. It depends on what myth you choose to believe. Apparently, the goddess Ēostre had a thing for rabbits — some legends even describe her as having the head of a hare. It makes sense, too. Ēostre was the goddess of fertility, and bunnies, as we know, are known for their ability to populate. According to some twists on Ēostre's story, the goddess once transformed a bird into a rabbit, which helps to explain why the Easter Bunny is also associated with eggs. Although the Easter Bunny has pagan origins, it worked its way into the Christian celebration of Easter thanks to German Protestants who began celebrating an "Easter hare" in the early 1600s. 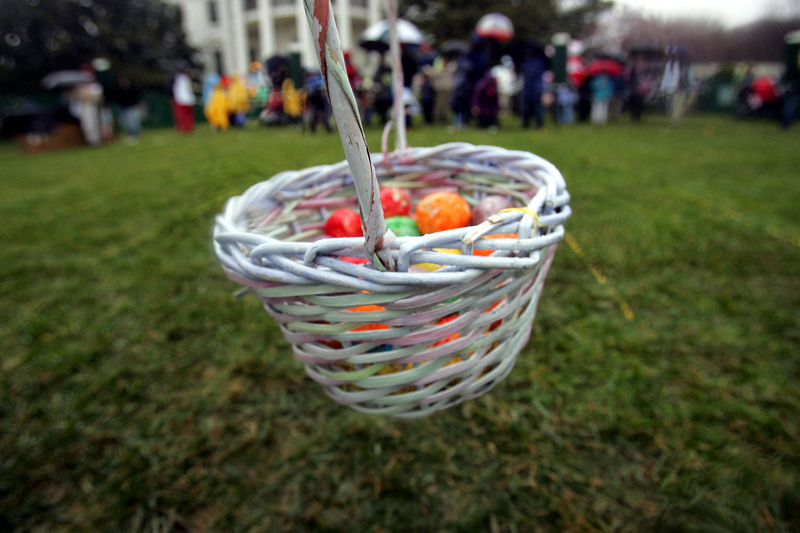 Much like Santa Claus, the Easter hare rewarded good children with an Easter egg hunt. In fact, people were decorating ostrich eggs as far back as 60,000 years ago, according to some archaeologist findings. Eggs were later often incorporated into Pagan celebrations in the spring, as they were a symbol of new life. Early Christians dyed eggs red to represent the blood shed by Jesus Christ. There are records of Christians celebrating the resurrection of Christ as early as the second century. Many of the symbols associated with springtime Pagan festivals — such as eggs and rabbits — were adopted by newly converted Christians. Unlike Christmas, which is celebrated on Dec. 25 every year, Easter has no set date on the calendar. Instead, it's calculated to fall on the first Sunday following the first full moon after the spring equinox. In 2016, the date translates to March 27.